Death metal band formed in 1989. Released two demos. Released a split in 1995 with Ungod. Xeroxed printed covers. 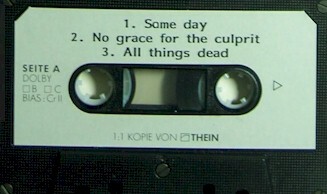 Recorded onto pro tapes that had stickers on the shell.